R Shiny Interactive Web Apps - Next Level Data Visualization | Free eBooks Download - EBOOKEE! 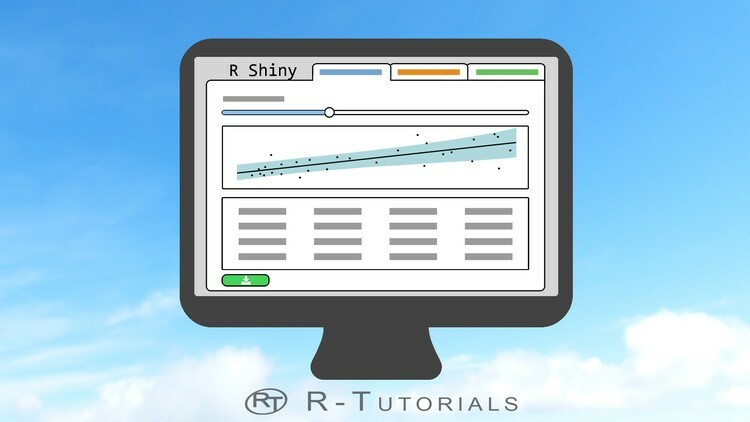 Learn how to use R and Shiny to create compelling data visualizations and how to share them online. App users can do all of this without any R knowledge. You do the coding, your users get the info they are looking for! In this course I will show you step by step how to master R Shiny. We will start out with the general shiny script - all scripts should have the same basic structure. You will then learn how to make your app interactive by using input widgets. These features take user inputs which can be used to generate or modify the app content. You will learn how to style your app for an appealing layout. I will also show you how to use HTML tags to integrate or embed standard web content like youtube videos, pdfs, text, pictures and much more. And you will learn how to integrate tables. This course is not just pure theory. The last section is all about applying your new shiny skills. 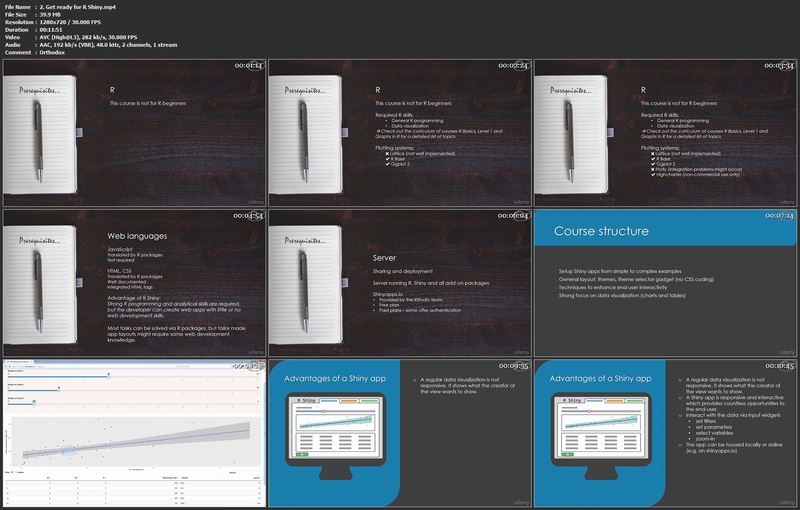 I prepared a course project which combines all the topics discussed in the course and more. This project is modeled after a real world financial app. You will get the project description and the raw data to test your skills. Note that this course requires basic R skills. If you are totally new to R, check out some R intro material first and then revisit the course. All the software downloads, add on packages as well as entry level hosting for shiny are totally free. I will show you what you need and where to get it. That includes hosting as well. Take a look at shiny - your boss, colleagues, students, customers will be astonished what modern day data visualization can do. No comments for "R Shiny Interactive Web Apps - Next Level Data Visualization".